GS1 DataBar (formerly known as RSS or Reduced Space Symbology) is a relatively new bar code symbology that was formally adopted by the global supply chain in January 2011. The GS1 DataBar can carry all 14 digits of a manufacture’s GTIN and is more than 50% smaller than the currently used UPC and EAN symbols. This makes it particularly useful for identifying small/hard-to-mark items such as produce and pharmaceutical items. Additionally, the GS1 DataBar symbol can carry GS1 Application Identifiers which allow additional information such as serial numbers, lot numbers, and expiration dates to be encoded. Databar bar code symbols can encode all 14 digits of a GTIN-14 where UPC & EAN can not. The Databar symbol is over 50% smaller than EAN/UPC so it can be used for smaller or hard to mark items. Databar bar codes are not going to replace EAN/UPC symbols. Product manufacturers can decide the language they wish to use based on package design. 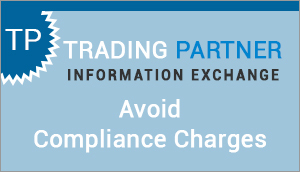 Databar symbols and GS1 Application Identifiers will be available in all trade item scanning systems beginning January 1, 2010. At that time, retail POS scanners should be able to autodiscriminate between the various GS1 barcode languages. Adoption of the Databar symbology is critical to address the revised coupon coding requirements. Ideal for loose produce using GS1 DataBar Stacked Omnidirectional symbols. 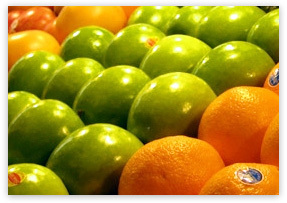 Retailers can now scan loose produce versus key entry providing 100% accuracy and achieving shrink control by differentiating conventional versus organic. Products include; Produce, Meat, Seafood, Deli, Dairy, and Bakery. 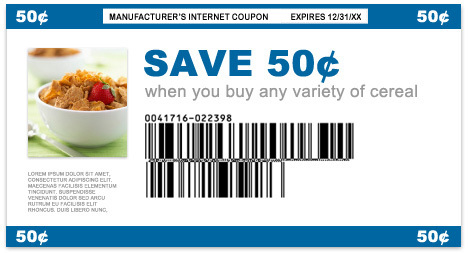 The revised coupon format allows for much needed flexibility and security. If you require digital barcode artwork (eps format) for any type of symbol, please contact us by phone at 800-662-0701. Our in-house service bureau can create/send these files out within minutes. As of November 2008, Databar symbols are available from www.createbarcodes.com. As an added benefit, users can use our EPS Validation site (www.epsvalidator.com) to check the accuracy of digital barcodes and also review data entry for Databar Coupon bar code symbols. Our application is the only certified solution to provide digital barcode artwork.